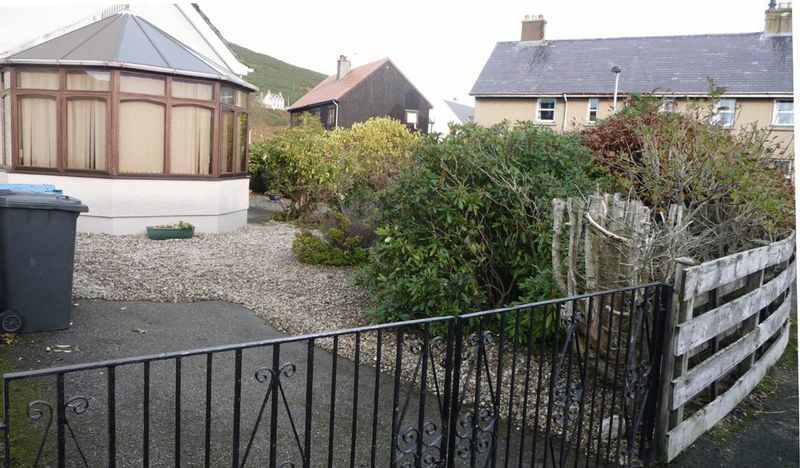 Three bedroom end terrace property, located in the Highland coastal village of Helmsdale. 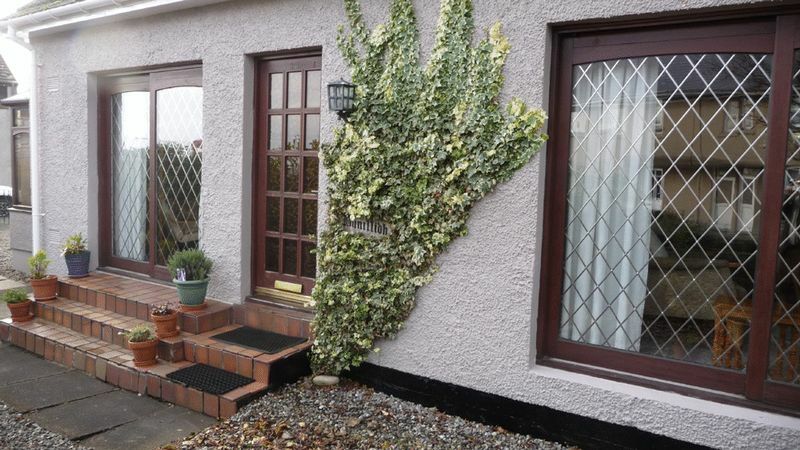 This property would make an excellent family or seaside retirement property. Situated on the corner of Rockview Place in Helmsdale, the property offers the following: Entrance hall, living room, ground floor family bathroom with WC, kitchen/dining room, conservatory, ground floor double bedroom, two first floor double bedrooms, well-kept gardens and off road parking. 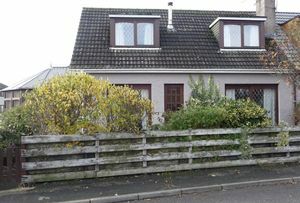 The property is situated on Rockview Place in Helmsdale. 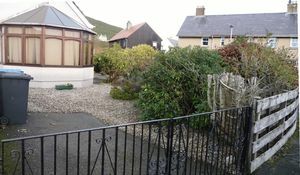 Helmsdale is serviced by rail and road links, has a primary school, health centre, bank, public houses, hotels, restaurants, and village shops. Helmsdale is a popular coastal tourist destination on the east coast of Sutherland. 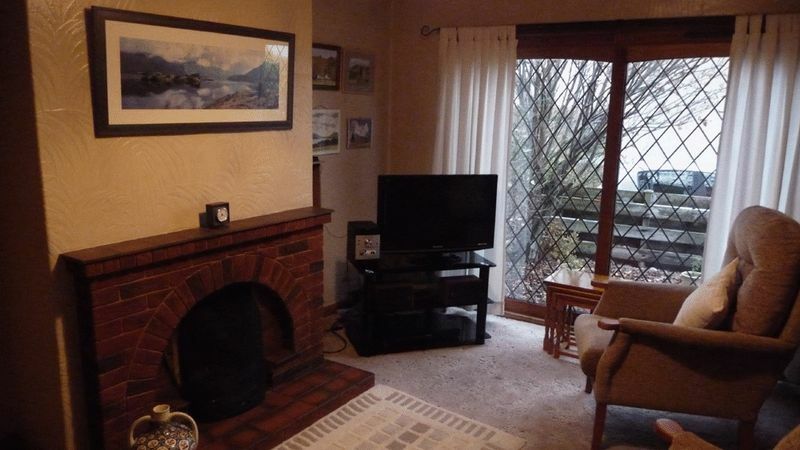 It boasts amongst many attractions a picturesque harbour and the River Helmsdale. The river has long been regarded as one of the most prolific and consistent rivers in the world for producing Atlantic salmon. For the golf enthusiast Helmsdale also offers a golf course thatoverlooks its famous salmon river, the nine hole Helmsdale course will give you a quaint change from the demands of a seaside links. 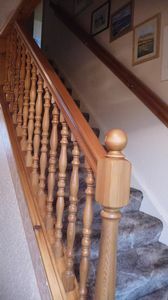 Access to first floor via staircase with wooden balustrade. Doors to living room, ground floor bedroom, family bathroom and kitchen/dining room. 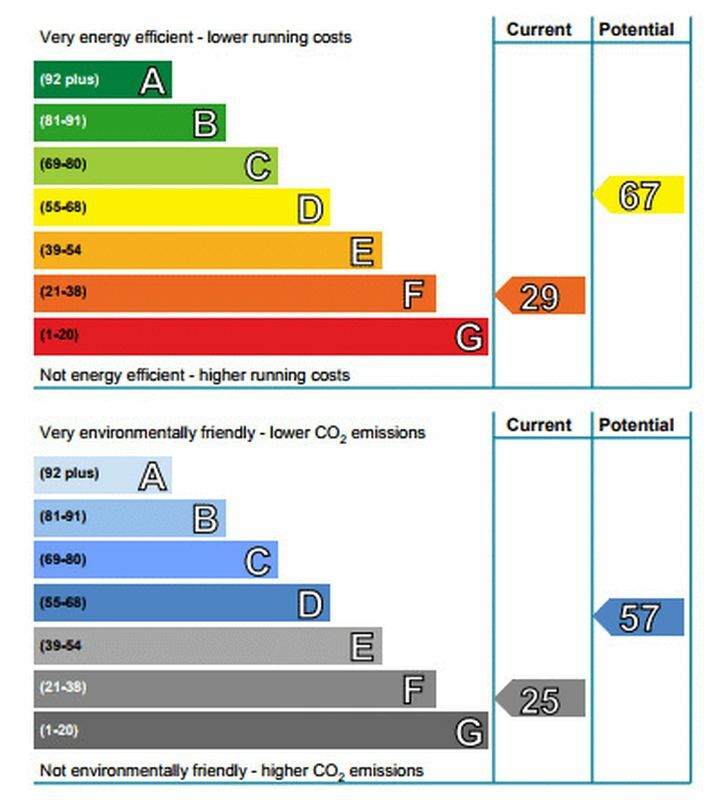 Under stair storage cupboard housing electricity meter. 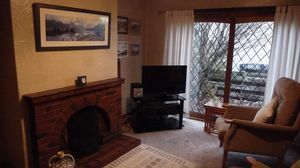 Solid fuel fire place with brick effect surround, tiled mantle and hearth. 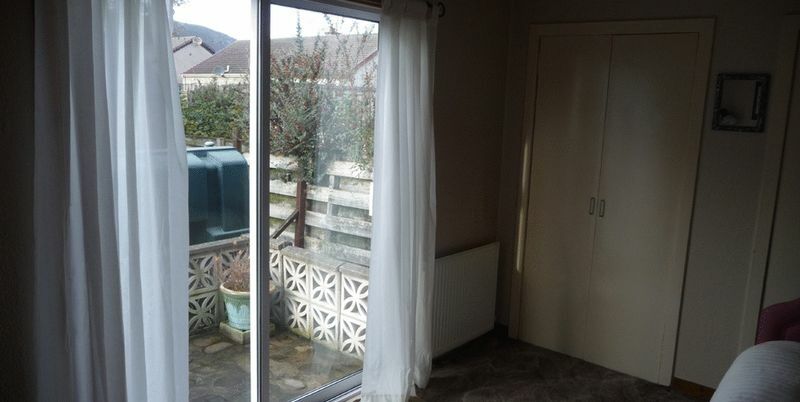 Large sliding patio doors to front garden (no step). 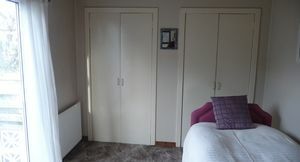 Two walk in wardrobes with double doors, clothes hanging space and storage shelf. 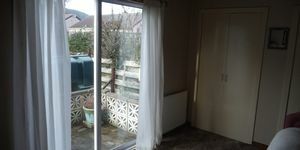 Patio doors with access to small outside patio area. 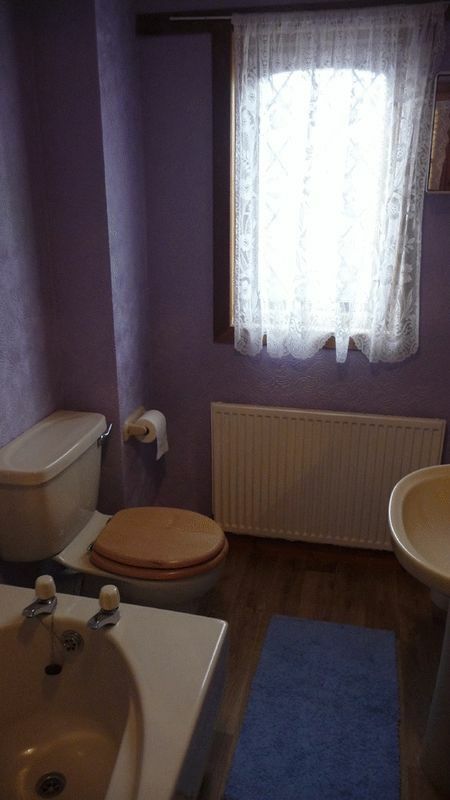 Beige bathroom suit. Bath with overhead shower unit, wall panels and shower curtain rail. WC and wash hand basin with shelving above. Wood effect lino flooring. 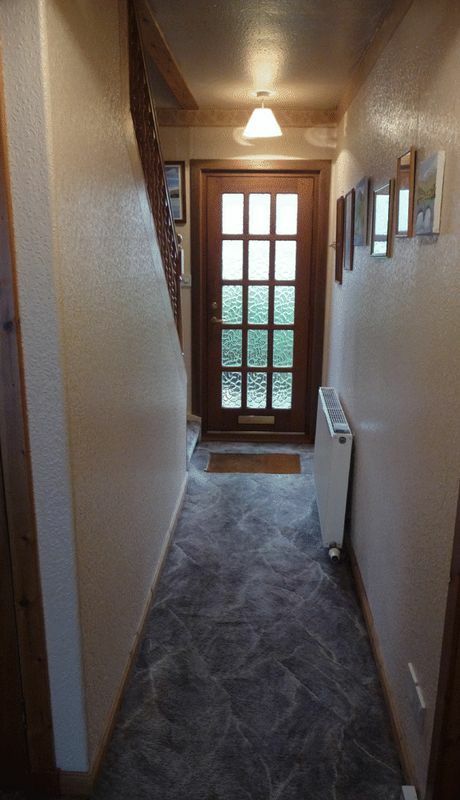 Doors to rear garden, entrance hall, conservatory and patio doors to front garden with tiled steps. Range of fitted kitchen floor and wall storage units, sink with mixer tap and tiled splash back. 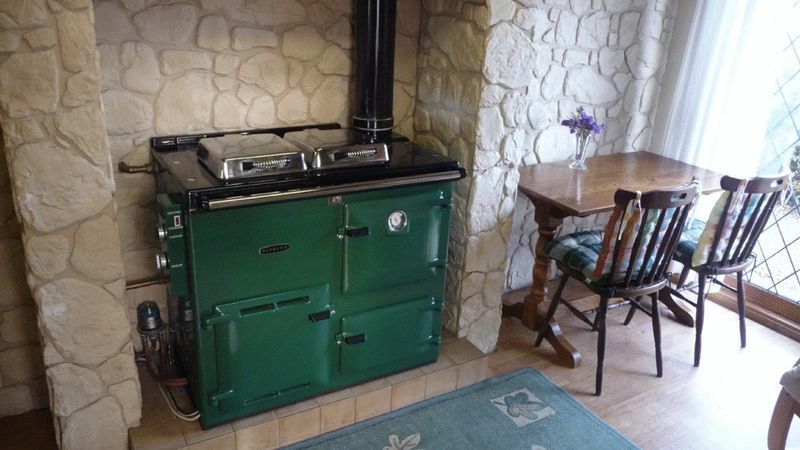 Rayburn oil-fired central heating cooker with stone effect surround. 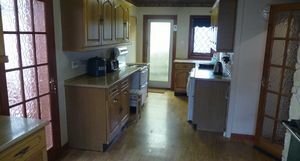 Additional electric cooker, fridge/freezer, washing machine and under counter fridge included in sale. Strip lighting and wood effect lino flooring. Twin wall polycarbonate roof. 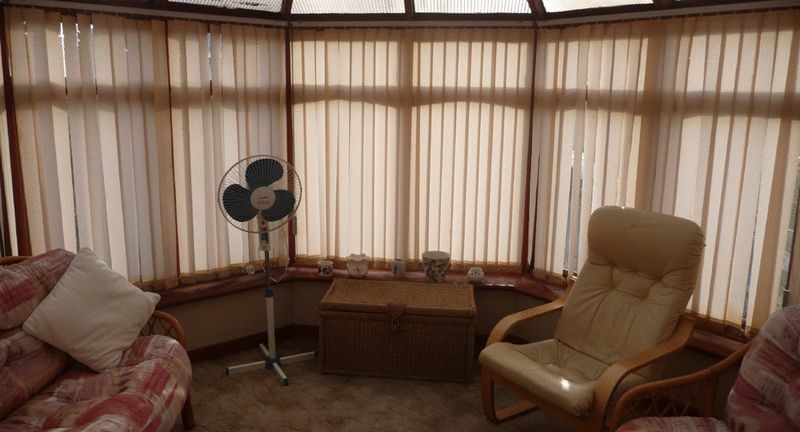 Views out onto garden. 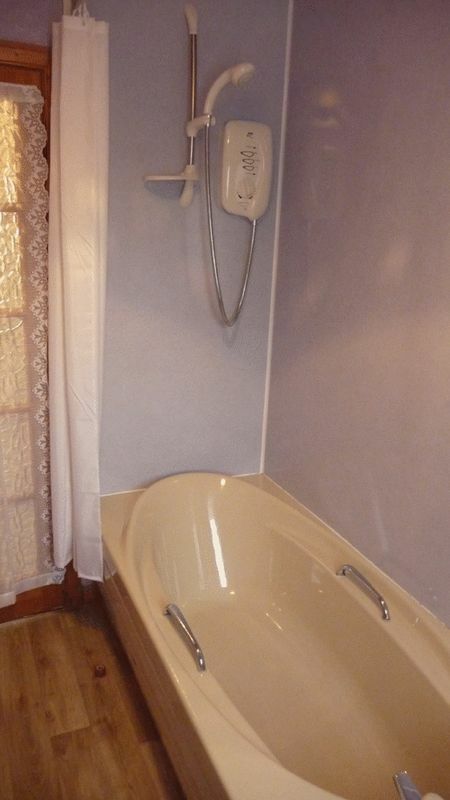 Airing cupboard with hot water tank. Access to insulated loft space via roof hatch. Dormer window. Walk in wardrobe with clothes hanging and storage shelf. 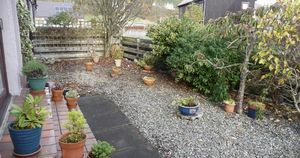 Enclosed, well kept, gravelled and paved front and side gardens with mature bushes and shrubs. 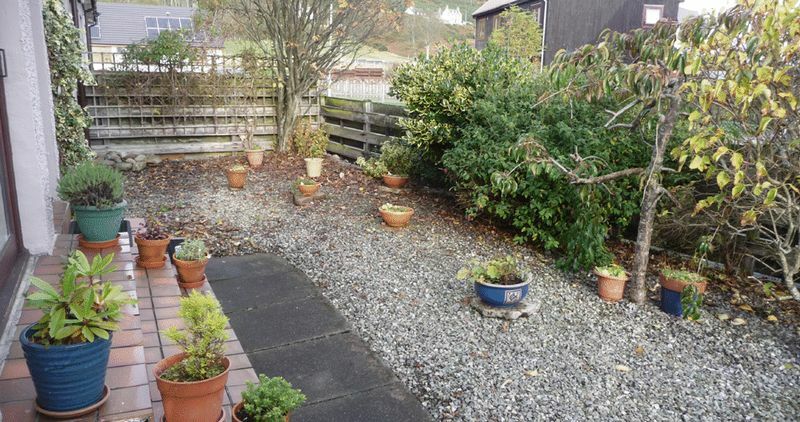 Neat enclosed, gravelled rear garden with small patio area off from ground floor bedroom. 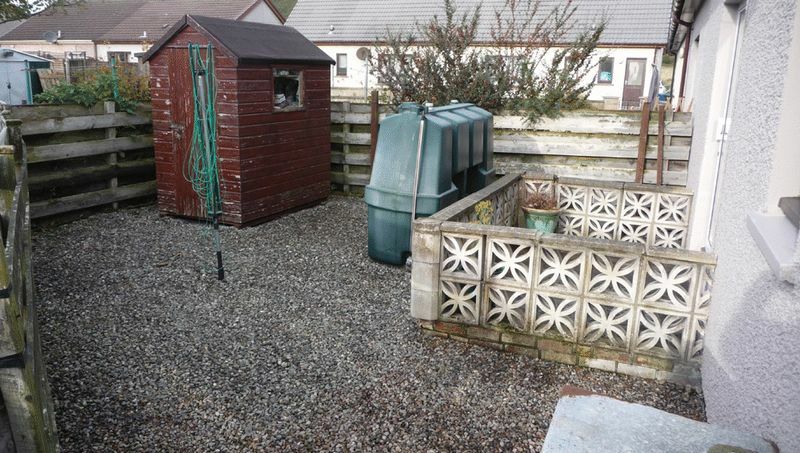 Garden shed, oil fuel tank, coal bunker and rotary clothes dryer. Included: All fitted carpets, floor coverings, curtains and blinds. Rayburn oil-fired central heating cooker, kitchen electric cooker and white goods. 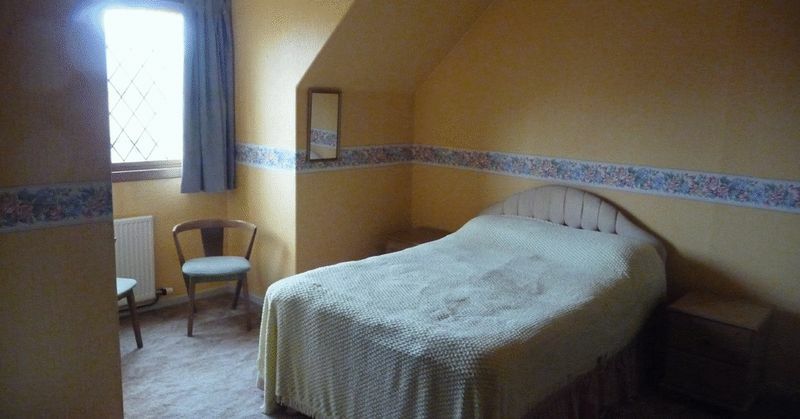 By Negotiation: All furniture currently in the property. Heating/Insulation: Solid fuel fire and oil fuelled central heating to most rooms. 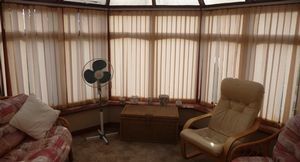 Double glazing to doors, patio doors and windows. Loft insulation. The main walls are of non-standard concrete panel construction, harled externally. 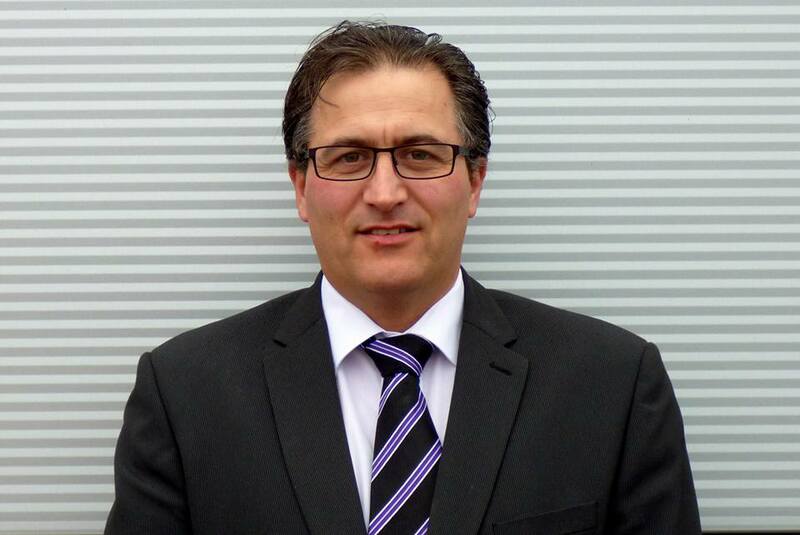 Services: Mains electricity and water. RE/MAX strongly recommends that you discuss any particular points regarding the property which are likely to affect your interest in the property with them prior to viewing. 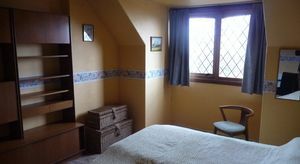 Interested parties are advised to notify their interest, in writing, with RE/MAX as a closing date for offers may be set. The seller reserves the right to accept an offer made privately prior to any closing date and further, the seller is not bound to accept the highest or indeed any offer. These particulars, whilst believed to be correct do not and cannot form part of any contract. The measurements may have been taken using a sonic-tape measure and therefore, may be subject to a small margin of error. 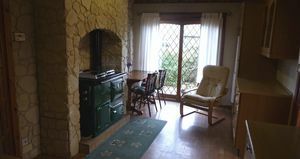 Whilst we endeavour to make our sales particulars accurate and reliable, if there is any point which is of particular importance to you, please contact the office and we will be pleased to check the information. Do so, particularly if contemplating traveling some distance to view the property.